Download 'Eighty-Two', our debut EP! 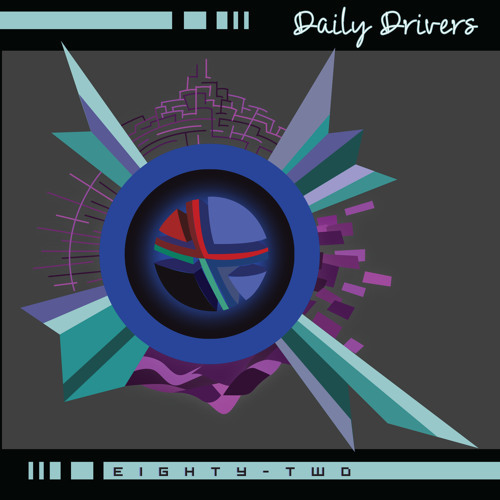 dailydrivers.bandcamp.com -name your price! Kyle Messner - Vocals Harry Baymiller - Production, Drums Austin Bianco - Guitar Marc Carbone - Bass Cole Messner - Keyboards -Like us on our new Facebook page! Add us as friends too! https://www.facebook.com/doubledeesmusic -Tweet at us, if twitter is more your thing! https://twitter.com/doubledeesmusic -General inquiries: dailydriversmusic@gmail.com Daily Drivers, a band of friends- driving each other daily: Three students of Aurora High School in Northeast Ohio found music to be the perfect escape from the suppressing trials that come along with being students. Throughout our four years, we each pursued different music ventures. Austin Bianco, our guitar player, played with various rock bands over the years, honing his craft and performing shows since a young age. Although Austin, AKA “Stin" or “Stin-man” (as the ladies refer to him), plays guitar for our band, he is versatile and talented enough to play just about anything you hand him. Known for his creativity, lightheartedness, and childlike appreciation for the little things, he is pleasure to be alongside- musically and personally. Harry Baymiller, our gut-busting drummer and producer for the group, was in a very similar boat. Harry was always drawn to the versatility of electronic production, and began drumming in middle school. He was the coolest drummer in the school band when he spent all his money on a pair of Travis Barker signature series drumsticks. (Do they still make those?) He, too, can hold his own weight when handed a guitar, or bass, or a set of keys and is always down to hop a fence onto some private property only to get chased out. I, Kyle Messner, am the singer of Daily Driver’s and began playing drums (alongside Harry in the school band) and rapping in middle school. Even as a slinky white kid, I pursued rapping all throughout high school. I have only begun putting my full focus into singing recently, and I am more than up to this challenge. Perhaps more importantly than our each unique musical backgrounds is the friendship, the vision, and the passion we share. We all bonded and became very close throughout our years at AHS, whether it be from chatting in study hall, or chatting in the principle’s office. Coming from such distinct musical perspectives, we all offer something to the table that is innovative, and it is a beautifully refreshing thing to be a part of. It is a blessing, even when our undiagnosed ADHD gets the best of us. If were not talking about music, were MAKING it. If were not talking about life, were LIVING it. If were not doing any of these things, we are probably either busy playing student at our respective universities, or sitting on the couch, showered in junk food, laughing hysterically at Dr. Steve Brule with Cole Messner and Marc Carbone. One of which is my big brother, but both of which are tremendously talented musicians and wise dudes who will be on stage with us when we play our first show. Will you there be with us? Daily Drivers, a band of friends- driving each other daily.